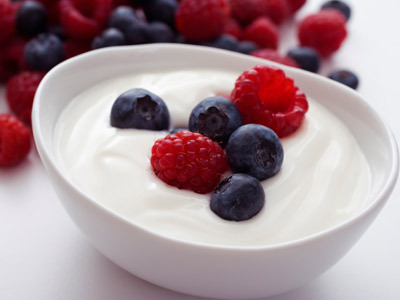 As you go about your weight loss diet program, one food that you’ll likely be including into the diet plan is yogurt. Yogurt is a much-liked food by many people and since many are already cutting out other dairy products as they think that they will cause them to gain body fat, the yogurt really is going to be a smart addition to the diet plan. That said, not all yogurts are created equally, so if you want to be sure that you’re putting in a good quality yogurt in your body, you need to know precisely how to choose one. Let’s take a look at the main things that you need to be thinking about so that you can do so correctly. The very first thing that you should be looking for in a yogurt is the sugar content. This is where most yogurts tend to have their downfall. If you’re purchasing any yogurt that contains ‘fruit at the bottom’ or is a fruit flavoured yogurt that doesn’t specifically state that it’s low in sugar, chances are good that the sugar content is going to be quite high. Yogurts that have these added flavorings are notorious for being high in sugar so this is something that you really must be aware of. Ideally the yogurt you’re choosing should have no more than 3-5 grams of sugar per serving. If it does contain more, you’ll want to rethink it as it will just create a blood sugar high followed by a crash. Moving along, the next thing that you’ll want to check for in your yogurt is whether it has any added fiber. Many yogurt brands are now adding extra fiber into the yogurt to help increase your daily fiber intake and the added benefit of this is that the fiber will help to slow the release of the natural milk sugars down in the body, making the yogurt more satiating. Plus, if you struggle to get your fiber intake in for the day, this will obviously help out in that regard as well. Finally, the last thing that you’ll want to consider is the protein value. Since yogurt is primarily a dairy source, you’ll want to be taking care to ensure that it does provide you with a decent amount of protein. 3-5 grams as some of the higher sugar yogurt varieties provide isn’t enough so if that’s all you’re getting, you’ll want to think twice about including this in your diet plan. Try and find a yogurt that contains at least 8 grams of protein or more. If you opt for Greek yogurt, you’ll easily get this and also have a very low sugar content as well. So there you have the main things that you’ll want to note about choosing a good yogurt. If chosen properly, this is a great addition to any healthy diet plan.